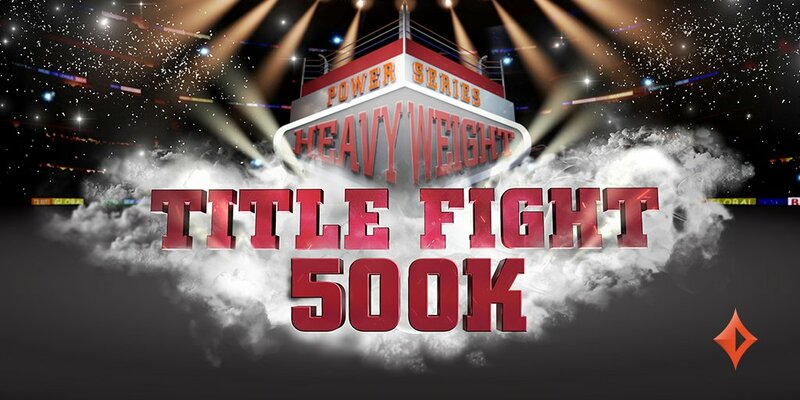 In a bold move which demonstrates their recent resurgence in the poker industry, Party Poker has doubled the guarantee of their biggest sunday major tournament called Title Fight. The tournament nows sits as the second largest on any schedule or site, second only to Pokerstars's Sunday Million. Party Poker has, in the past, run one-off "double guaranteed" versions of their flagship tournament in order to draw more players, though this permanent change illustrates the momentum they are moving forward with in an era where many players feel frustrated with dwindling rewards for regulars and pros alike. "As tournament players ourselves we've been planning to overhaul our MTT schedule for a while but wanted to focus on software improvements first. The client is in great shape now and so it's time we gave MTT players at Unibet and beyond something to shout about." A full breakdown of the changes and their implications can be found here. Luckily, it's not only through these tournaments that players can obtain attractive rewards, but also here with us where we offer exclusive rake races for both Party Poker and Unibet. As October looms on the horizon we have a number of great deals we'd like to present to you. The first of which we offer through Party Poker, which has both an exclusive race through us totalling $5,601 per month, and a pooled race totalling $15,000. You can enter by registering with us, where you can also keep track of your day-to-day progress while the race continues. If you don't want to miss any of the action, be sure to sign up as soon as possible. If you enjoy cash game action and are looking for something to motivate your grind, we also offer three exclusive rake races with Unibet, each for €1,500. The first of these ranges from the 1st of October until the 11th, and the second from the 11th till the 21st. Finally, the last race begins on the 21st and ends on the 31st. We also offer a wide range of exclusive rake races for other well-known poker sites: be sure to check out all our deals as they arranged by site name on our home page, rakerace.com. In a bold move which demonstrates their recent resurgence in the poker industry, Party Poker has doubled the guarantee of their biggest sunday major tournament called Title Fight. The tournament nows sits as the second largest on any schedule or site, second only to the Sunday Million. Party Poker has, in the past, run one-off "double guaranteed" versions of their flagship tournament in order to draw more players, though this permanent change illustrates the momentum they are moving forward with in an era where many players feel frustrated with dwindling rewards for regulars and pros alike.